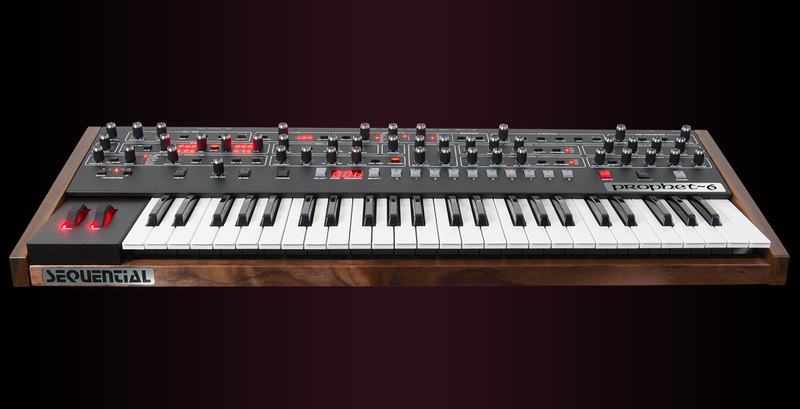 the Sequential Circuits Prophet 6, P6 Analog Synthesizer isn’t bad at all. Sounds a bit different but has new filters and OSCs. very hands-on, very easy and intuitive – ok – it is a classic concept so it should be- like the FX in this one. 64 step polyphonic sequencer !! This synth has analog oscillators, it is therefore closer to the Prophet 08, but it has different filters, that have been developed with the Pro 2, so it is also a different sound to both for different reasons). Dave says it is not the same but more modern and – it has a real easy-to-understand user interface – which is obviously true. 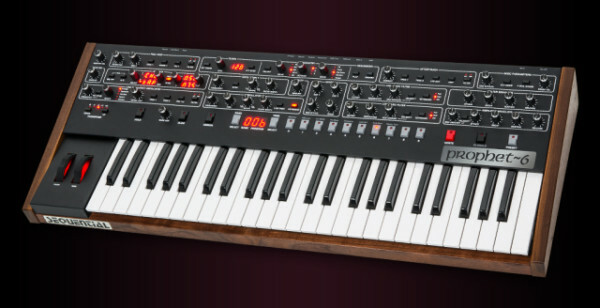 so the Prophet 6 is not cannibalizing DSI (which is the distribution with this synth, still) especially thinking of the P08 it has FM like the P5 had and a different sound. and yes – Sequential is back without Circuits a new page as well. …from Yamaha. Here’s the „Sequential Statement“ – since Yamaha doesn’t do synths that much these days so Dave is been given the name back! congrats! To me it’s like when Bob Moog got his name back, so we’re waiting for Tom to call his machines Oberheim again (not Tom Oberheim). Yamaha still makes synths. Difference is they’re not a synth-only manufacturer. They make a larger variety of musical instruments than Roland, Korg, Arturia, Nord, Moog, and DSI combined. Yes, but none of their instruments are really that exciting now are they? I had the chance to review the P12 which I really could just do a baaad review – but when I tried it I really felt inspired and really enjoyed it – it felt like it could be the main „workhorse synth“ beside the computer if you don’t have anything ..
the P6 is a bit limited when thinking of just one LFO -..
but well – synths are now well „proven“ of what is a good UI and what isn’t – don’t you think? to me this is just sort of flip back to what already worked. but I have plenty of ideas that might be cool – like knobbed FM synths and samplers to really have faders for sample adjust, loop position and granular stuff. etc. so there’s still hope – in the analog world I do not feel it’s the one for innovation – but – well the P12 and the P2’s sequencer is something I call useful and very pragmatic to have and use. so the P12 with the P2’s sequencer would be THEEE synth to have and create..
Musotalk – Mini-Interview – Wer ist dieser Moogulator?